Last seen walking from his home at Montville on the Sunshine Coast hinterland Queensland Johnathan had taken no belongings and all Police inquiries have failed to find any trace of him. QLD Police have today charged two people for murder, following investigations into the disappearance of a 43-year-old Montville man who was reported missing by his family in July 2001. Johnathon Watkins was allegedly last seen walking away from his home at Western Avenue in Montville and was not seen again. In response to information received, warrants were executed today resulting in the arrests. A 50-year-old Nambour man has been charged with murder, a 42-year-old Montville woman has also been charged with murder, and a 38-year-old Montville man has been charged with being an accessory after the fact, interfering with a corpse and drug matters. All will be appearing in the Maroochydore Magistrates Court tomorrow. TWO people have been accused of murdering a man and disposing of his body in the Sunshine Coast hinterland nine years ago. Michele Irsigler, 43, is accused of killing her former partner Johnathon Watkins, with the help of Russell Graham Pilkington, 51, in 2001. Ms Irsigler's current partner Jason Scott Bundesen, 39, is charged with being an accessory to murder and interfering with a corpse. A committal hearing in Maroochydore Magistrates Court yesterday heard police were first told of Mr Watkins' alleged murder more than four years after he disappeared from his home at Montville. A man said Mr Pilkington was drunk and upset when he opened up about his role in Mr Watkins' murder. A video of a re-enactment of the crime was tendered to the court. The three accused allegedly made admissions to police about their roles in Mr Watkins' death. It is alleged they dumped his body under a pile of logs near Montville, doused it with diesel and burnt it. Mr Watkins' father, Johnathon Watkins Senior, told the court he heard an argument between his son and Ms Irsigler on the day he was allegedly killed. Mr Watkins lived 100 metre from his parents' home. “I hesitated to intervene initially but eventually I went to see what was going on,” Mr Watkins Snr said. Mr Watkins Snr said Ms Irsigler told him his son had gone. A week later he reported his son missing to police. “I accepted the story at the time because I thought it was quite possible that he would do that sort of thing, take off and decide to turn his back on everything and just go,” Mr Watkins Snr said. The court heard Mr Watkins had “a very violent temper”, which stemmed from him allegedly being raped as a young teenager. Mr Watkins' sister Judith told the court her brother had an unpredictable temper. 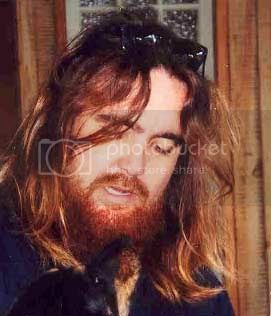 “He loved animals, was really kind and really gentle and really loving and we were quite good friends. But there were a couple of times that I interfered with him having fights with my mother and he turned the abuse to me,” she said. A WOMAN who shot her husband twice, drove his body to a friend's place to be burnt and lied about his disappearance has been found not guilty of murder. Michele Irsigler walked free yesterday, acquitted of the murder charge against her because of her evidence that she had been the victim of two decades of abuse. During a fortnight-long trial in Brisbane Supreme Court, Ms Irsigler told of the events before she killed her husband, Jonathan Watkins, in their Montville home on July 25, 2001. She said she had been kept hostage in the family home for three days before she shot him as he attacked her. A jury returned a not guilty verdict for charges of murder and manslaughter against Ms Irsigler. She was found guilty of interfering with a corpse and sentenced to a wholly suspended one-year jail term. Two men accused of being accessories to the murder, Russell Graham Pilkington and her current partner Jason Scott Bundesen, also were found guilty of interfering with a corpse. The pair received the same sentence and were found not guilty of all other charges. Mr Pilkington was helping Ms Irsigler collect her belongings from the house when Mr Watkins arrived home and started attacking his wife. She managed to escape, found a gun she had borrowed from a friend and shot Mr Watkins twice. They drove his body to Mr Bundesen's property, where he took it to a back paddock, doused it in diesel and burnt it for several days. Days later, Ms Irsigler told police her husband had stormed off, saying he would never be seen again. He was listed as a missing person for many years until Mr Pilkington made a drunk confession to the incident years later. No trace of Mr Watkins was ever found. Ms Irsigler told police she never wanted to kill her husband but said she had the gun to scare him. "Why (did I shoot him)? Eighteen years of being bumped around, being threatened," she said. "I wanted my life back. "I wanted to get up in the morning and not be beaten up during the day ... to have a normal life. "I wanted a normal life for my children."